I leave Ukhamath and carry on. From here a gentle road winds up the mountain. In front of me rises the tall peak of Chandrashila. To my right, far below me, lies the valley of the Akash Ganga. 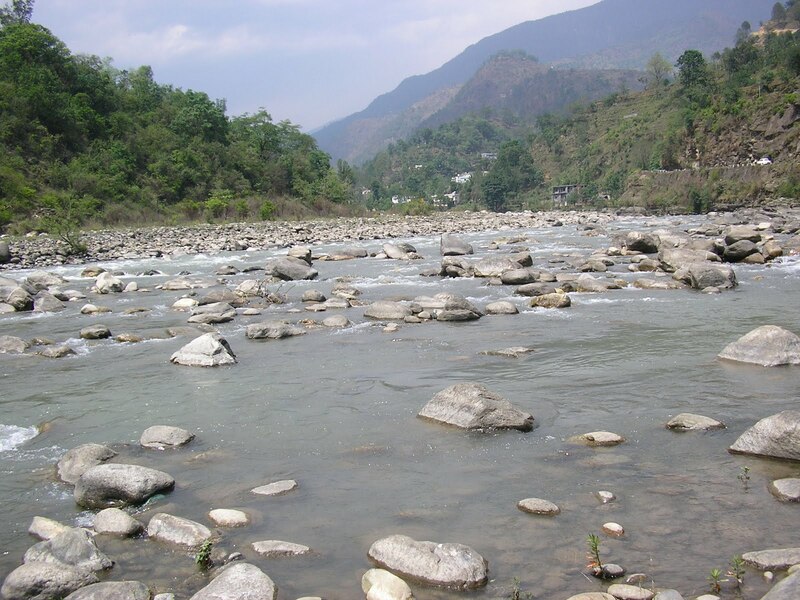 It flows down from Tunganath to the Mandakini stretched out far behind me like a ribbon. They seem to me like two daughters of Paradise, fast friends, re-uniting on Earth. Up the mountain on the other side of the Mandakini I see stray houses of a village- Mukhimath or Mukumath. The Pandas (priests) of Tunganath live there and worship the deity in the winter months. 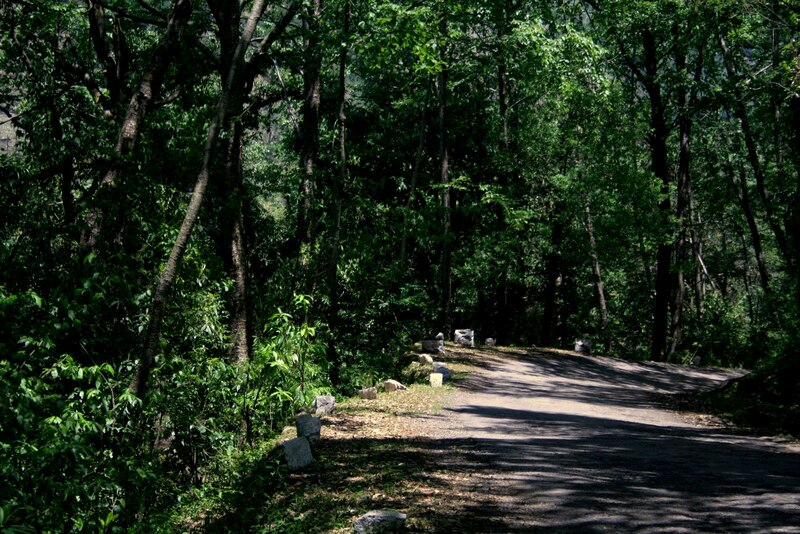 Five miles down the road, on a turn of the mountain, lies Ganeshchoti. You come down to the riverbed and cross a bridge here. On the other bank begins the climb to Chopta, following the road to Tunganth. A beautiful forest starts a little way above. The still, peaceful path climbs up relentlessly under the shadow of gigantic trees. Two miles above Ganeshchoti lies Goliyab-garh. Three miles further lies Poukhibasa. A mile and half from there lies Dogalbitta. My destination, Baniyakund, is a mile from Dogalbitta. The chotis are evenly spaced by the mile but even then, the uphill trudge seems endless, like days of hardship refusing to end. But far from feeling despondent, I feel coccooned by the cool shadows of the deep forest. At a point on the shoulder of the giant of Chandrashila, the road makes a massive turn. Going around it, we suddenly arrive at Baniyakund. The climb to Chopta ends here, much to the relief of the exhausted traveler. In front I see a wide bugiyal (meadow) in one corner of the mountain- green grass with roots in small, flowing streams. A peaceful place of great beauty. It makes me want to stay here for a few days. 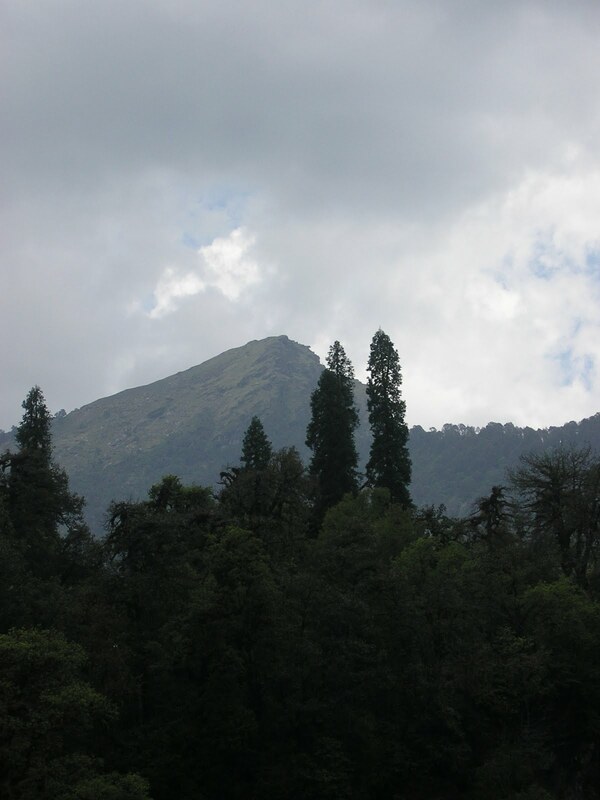 Baniyakund must be about eight to nine thousand feet above sea level. Its quite cold here. There’s a dharamshala maintained by Kalikamliwala, so boarding is not a problem. Let me tell you about an interesting little thing that once happened here. I was staying by myself in a room on the second floor. Not too many other yatris. I heard a voice from a nearby room, a man chastising someone hard in Bengali. Occasionally I heard a woman’s muted voice in reply. The man’s harsh words cast a pall on the perfect peace of the Himalayan scene. He was a thin, dark man wearing a traditional black-edged dhoti. Must’ve been about 60 years old. His eyes and cheeks sunken, he was swathed from head to toe to keep out the cold. His teeth were dark red from betel juice. I smiled and remarked that he still hasn’t given up the betel leaf. I looked at him and wondered. You can never guess a man’s inner demons, his struggle for self-transcendence from his demeanour. So I told him a story. Not of a pilgrimage, or of the Himalayas, but of something that occurred at my house in Calcutta. A kirtan (devotional songs of Krishna) had been organized- a famous Vaishnav percussionist was to play the Srikhol (a double ended percussion instrument played at such soirees). The programme was about to start, but there was no sign of the man. Time was going by. People started wondering if he’d forgotten all about it. Someone from the audience started singing, and the programme began. A few hours later, the Vaishnav gentleman arrived. A small man, he joined his hands, and with an air of supplication made his way to the stage through the crowd. He touched the khol to his forehead and picked it up. The singing of kirtans resumed, and the man started playing the Srikhol. In an instant, the performance reached a different level. The Srikhol started singing in a sweet voice redolent with faith. The player looked overcome with emotion, immersing himself in the rhythm. 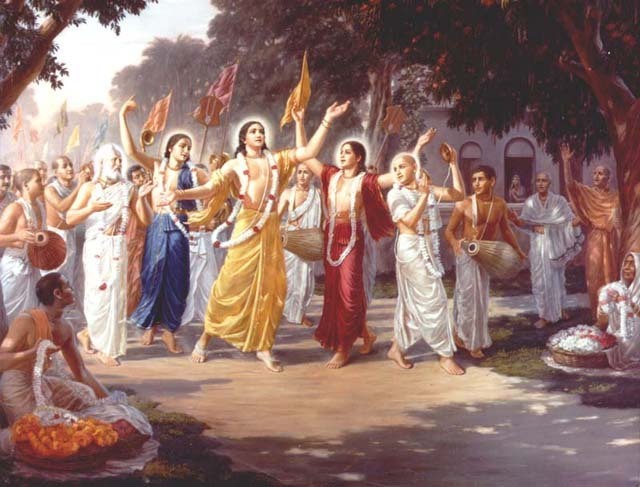 As one, everyone stared at him, their faces and hearts transformed with joy at the divine music. The Vaishnav raised his eyes at the remark. A wry smile passed over his blissful face. “Oh, yes, I know I was very late. My youngest son suddenly died today- I had to cremate him. I came here as soon as I could.” Nobody said another word. Neither did he. The hall fell silent again. dont write down ina hurry.kirtan is mostly songs depicting anguishand longing of RADHA and worshipers for KRISHNA. Ohey bhaya: ISKCON (International Society for Krishna Consciousness) not ISKON. Hebby hocchey bhaya – chaliye jao!! !